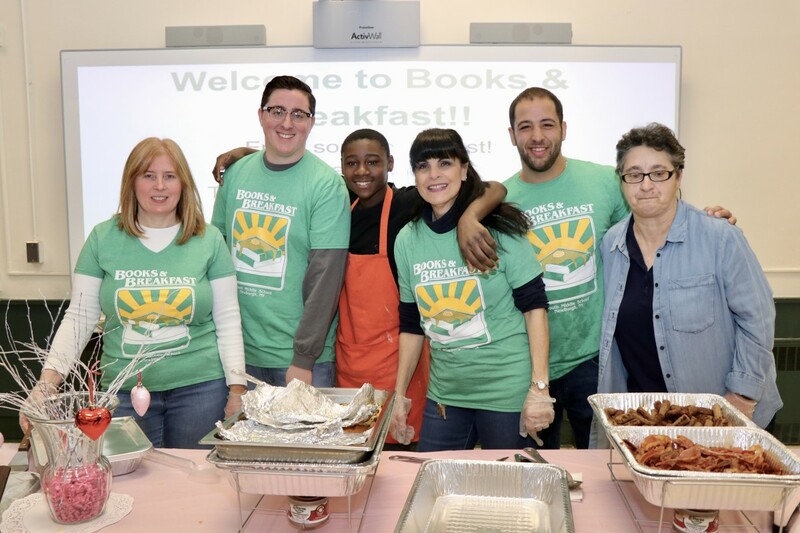 South Middle School’s 5th Annual Books and Breakfast event was a true family affair! 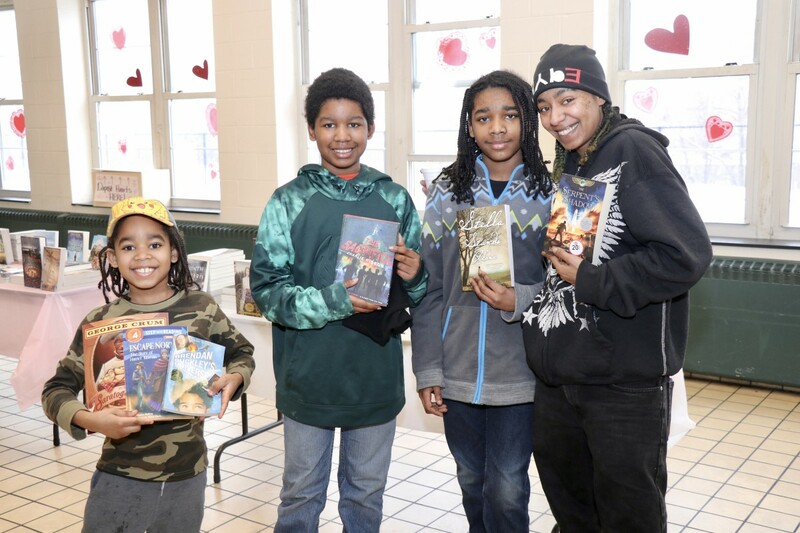 Attracting more than 300 people on Saturday morning, SMS welcomed families, and many brought their own! 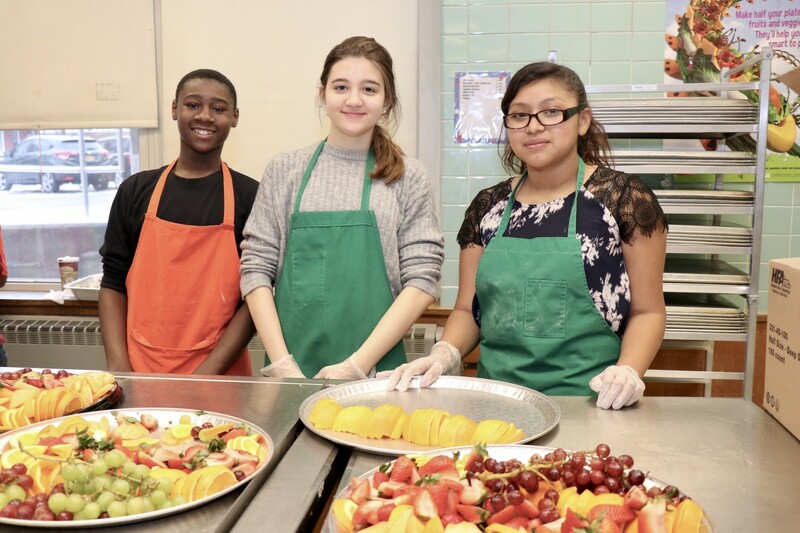 Scholars in Home and Careers Skills classes, arrived at 6:00am to wash, cut, and prepare food for the event. 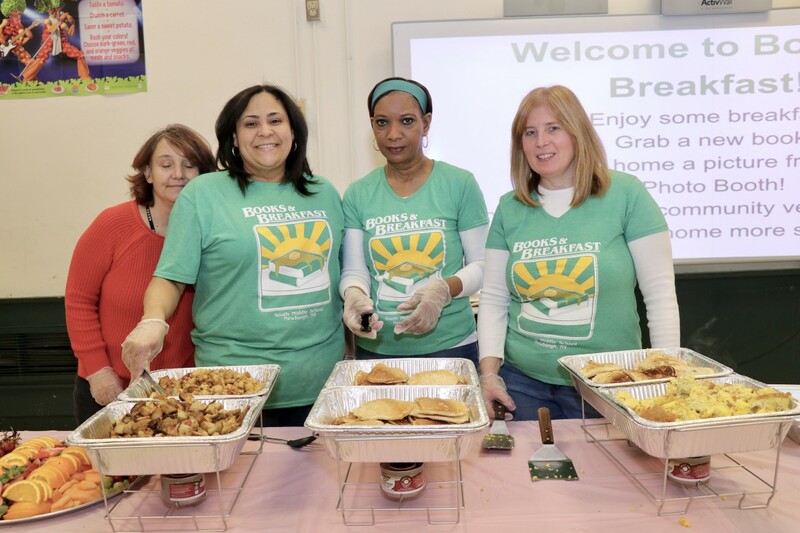 Mother and daughter team, Ms. Nancy Tancredi and Ms. Kara Tancredi each teach Home and Career Skills at South Middle School and led the students through the process of preparing, cooking, and serving such a large crowd. 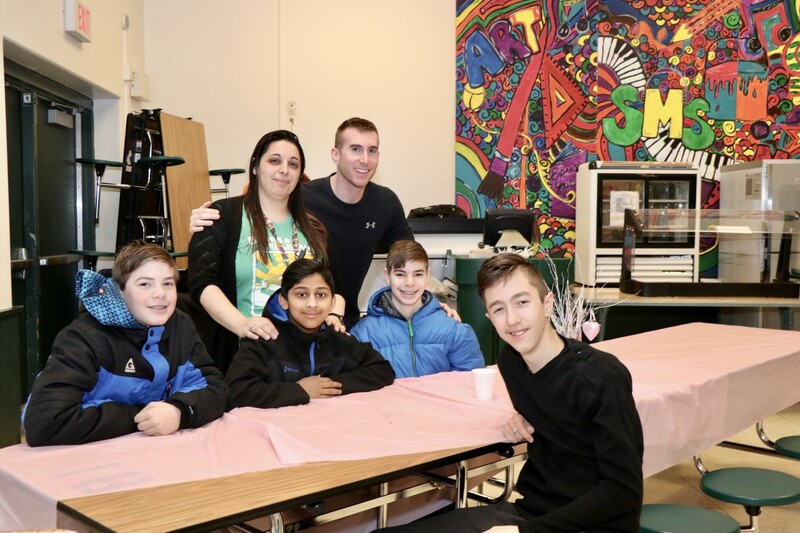 Mr. Wenzel from Temple Hill helped students develop the menu and helped facilitate the day with his twin brother, Mr. Mark Wenzel, science teacher at South Middle School. 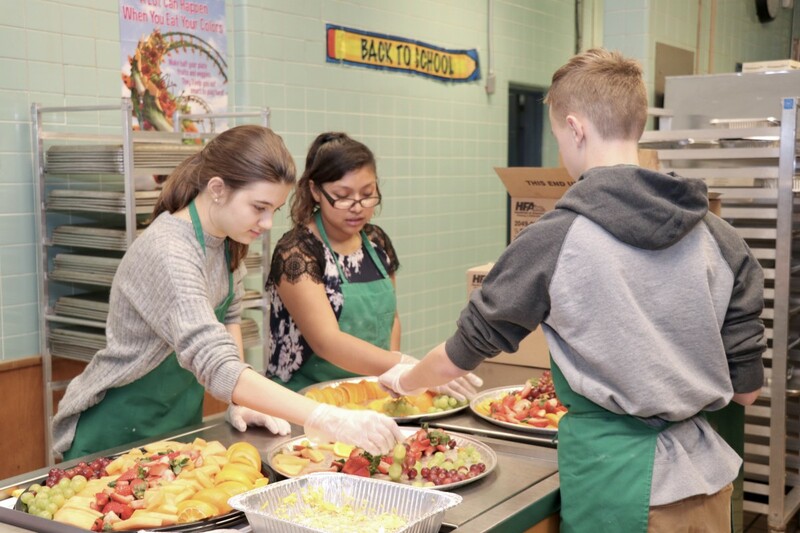 Several volunteers in the kitchen supported the students to make the event a success. Principal, Ms. Lisa Buon was joined by her daughter. 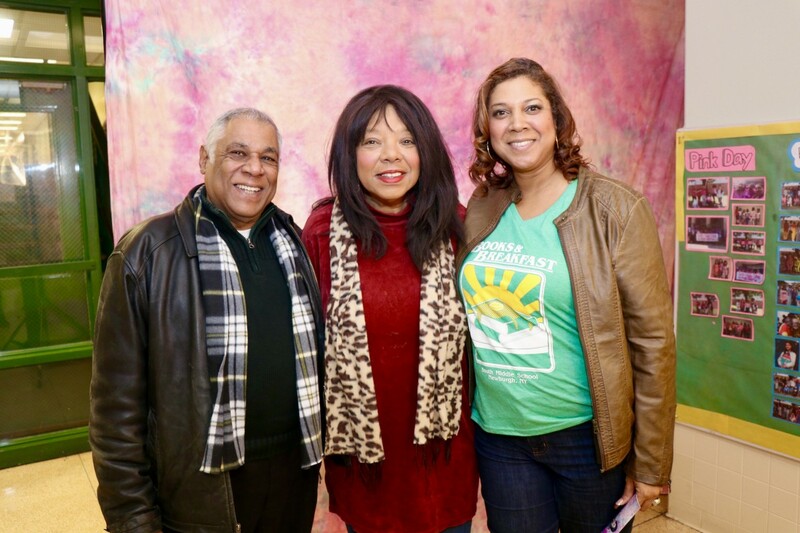 Assistant Principal, Ms. Karriem Bunce was joined by her parents. School Counselor, Mr. Kareem Donaldson was joined by his daughter. 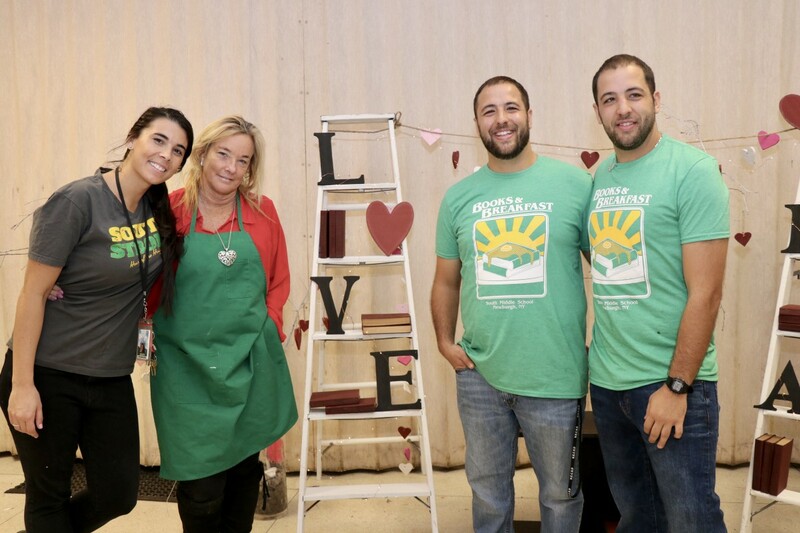 Several teachers and staff members were on hand to serve students and their families and mingle throughout the event. 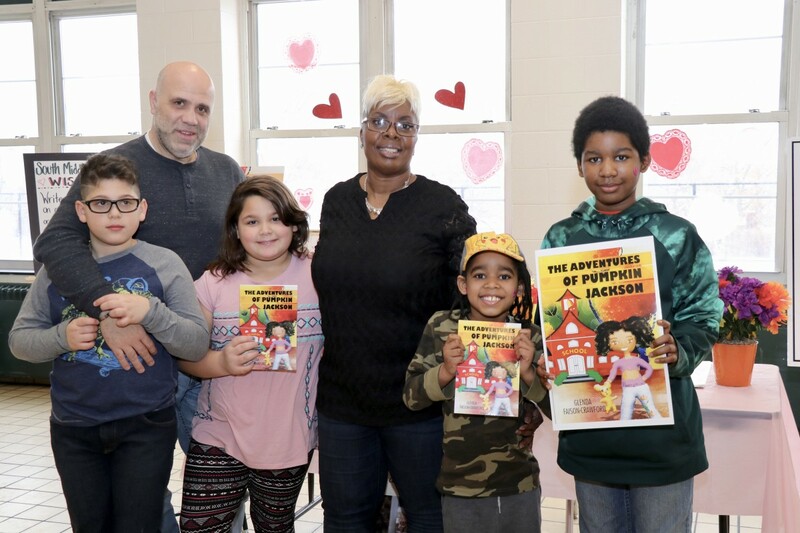 Author and Teaching Assistant, Ms. Glenda Faison-Crawford spoke about her book, The Adventures of Pumpkin Jackson and signed copies for students. A photo booth was set up for students and families to use props and take photos. Students and their families could decorate heart shaped designs. Stations were set up to learn about programs by the Boys & Girls Club, the SMS PTG, Student Government, and the Orange County Department of Mental Health. 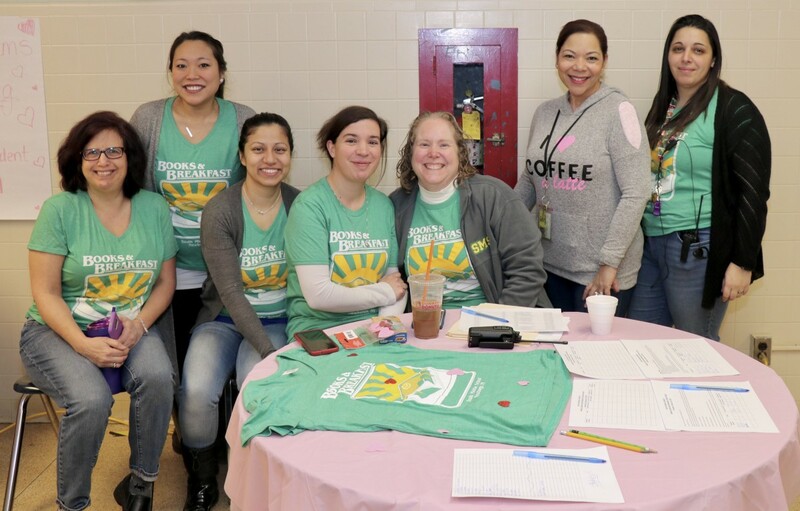 There was also an ENL and Bilingual parent meeting to discuss programs in the school and upcoming examinations for their students.